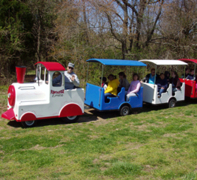 Funtastix Party Rentals provides awesome amusement rides and attraction rentals for our Delaware, Pennsylvania, and Maryland customers. 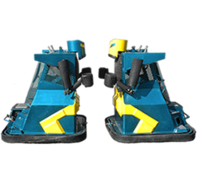 The trackless train is fun for all ages, and the Robot Boxing attraction is just like old Hasbro™ game Rock'em Sock'em Robots only Bigger! Browse the items below and click on the title or image for more information or to make a reservation.